There are so many reasons to adore organic lemon essential oil. Its slightly sugary, yet sour citrus aroma is easy to recognize. It is uplifting and energizing. Best of all, it is an easy, cost-effective way to clean around the house, office, garage, and more. Yep, lemon helps cut through grease! It can be added to surface cleaners for the stove and counter, dish washing soap, or scouring scrubs for oven and glass stove top cleaning. Add lemon essential oil and Castille soap to a 3 oz. bottle of lemon thyme hydrosol with a mister (our 3 oz. size already comes with a mister!). Shake well and use as needed. 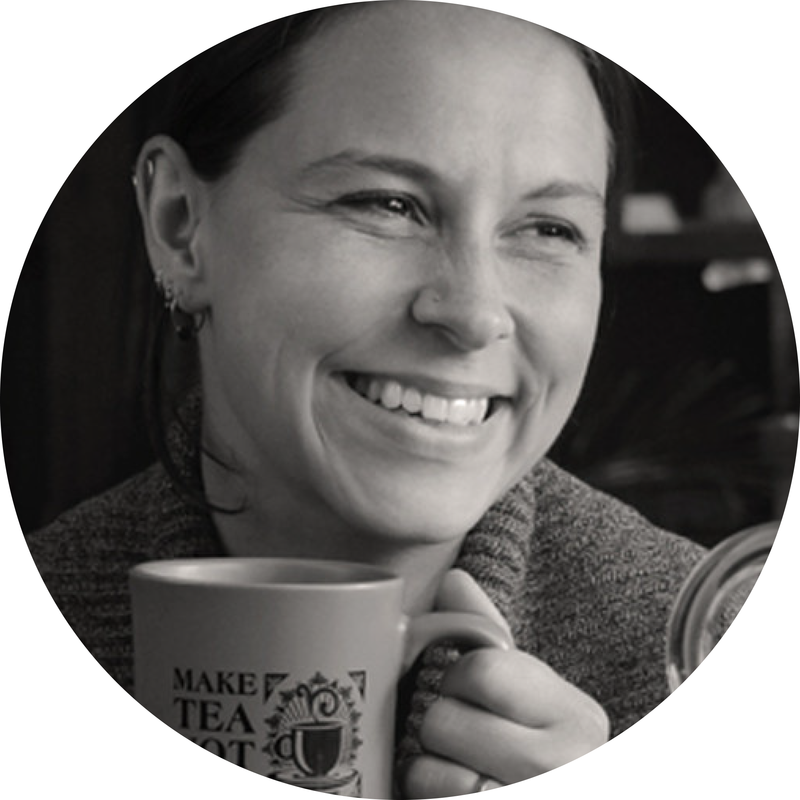 In addition to greasy messes, lemon essential oil breaks down sticky residues and adhesives. It is great for removing stickers and labels! Recipe can be increased for larger surfaces. 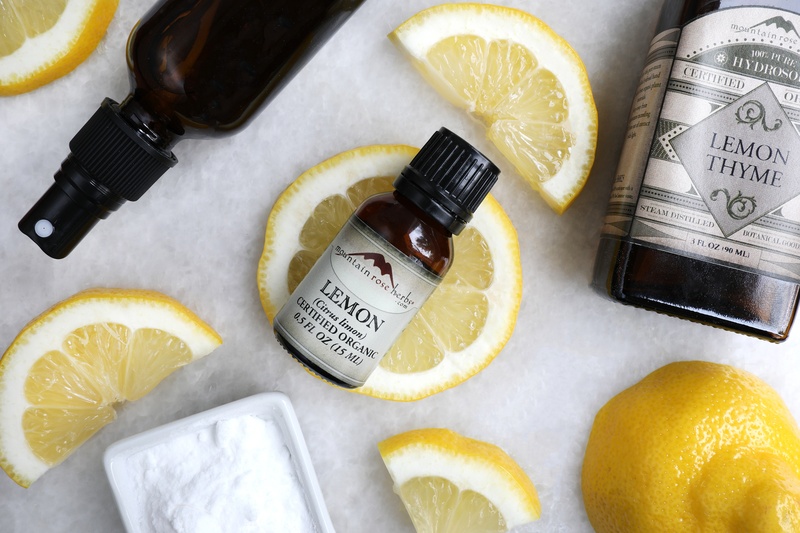 Combine carrier oil, baking soda, and lemon essential oil. Apply to sticky area and let sit for 10-15 minutes. Scrape, clean, and repeat if needed. Lemon is a go-to ingredient for DIY wood polishes. Try our natural lemon furniture polish recipe. Another great place for using lemon essential oil is the bathroom. It can be added to surface sprays and tile scrubs, leaving a refreshing, clean scent in your space. Try using them in a DIY toilet bomb for quick, mess-free cleaning. 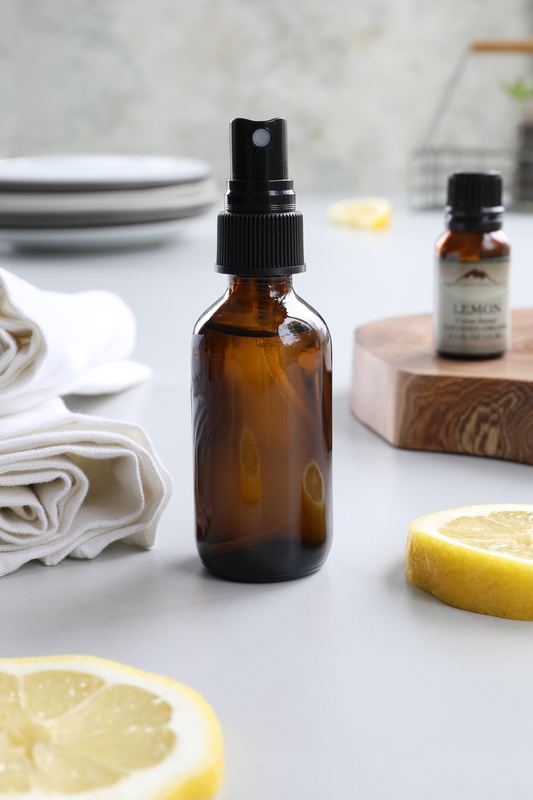 Lemon is a classic ingredient in the Four Thieves® Oil Blend, which can be properly diluted in hand soaps, surface cleaners, and diffusers to freshen your space. 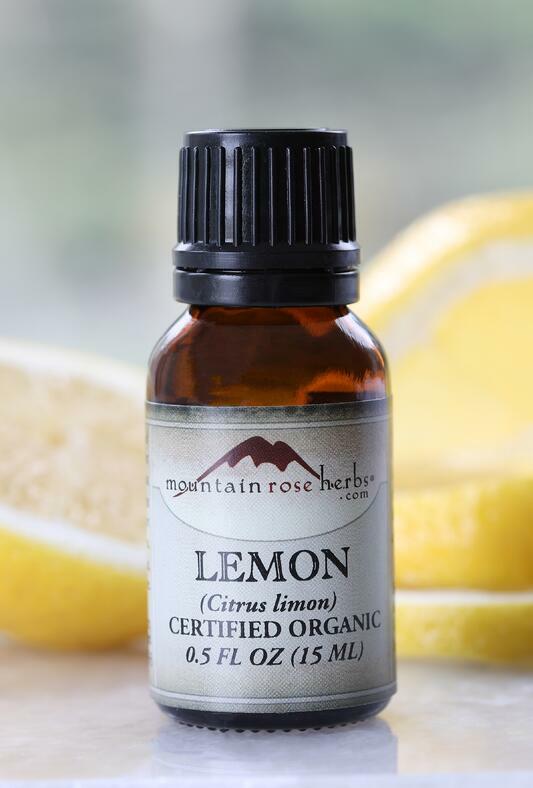 Find our Mountain Rose Herbs version in the aromatherapy section of our blog.